One of the more subjective factors that I include in the "gut feeling" category of these rankings is the ability of a team to bring their best racing at the right time in the season. That's why Bella Vista is in the countdown: the Broncos have the 10th-best returning team times from the CIF State Meet, where they finished 15th in Division 2 with a top 5 composed entirely of returning runners. 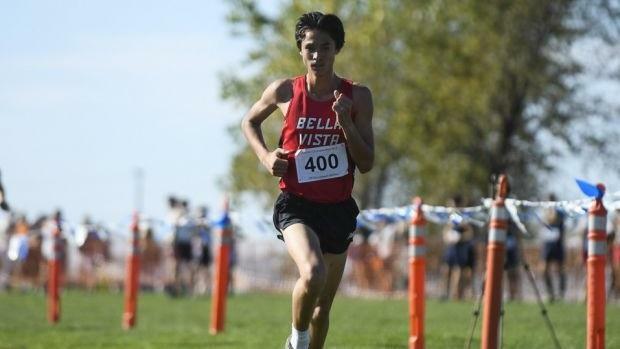 That came after a convincing win in their division at the Sac Joaquin Section finals, which showed that despite having a younger group than many competitors, Bella Vista could bring their best when it mattered. This is shaping up to be a classic pack-running team, without a clear front-runner but with solid depth. Will this team actually turn out to be better than the D1 teams from the SJS? Only the summer will tell, but it's clear that there's not a dominant squad in the section, so it's anybody's race right now.